It’s been a while since we heard anything of the new cellphone carrier unlocking bill that’s still not been completely finalized. Earlier this year, the FCC put pressure on CTIA to allow phone unlocking without punishment. Thankfully, terms of the new legislation have been successfully negotiated and will be listen on the Judiciary Committee’s agenda for this week’s meeting. The new bill was initially introduced last year, after a law change which made cell phone unlocking illegal was put through. Rather incredibly, carrier unlocking your phone was seen as a breach of the Digital Millennium Copyright Act and was punishable by hefty fines. Thankfully, this new bill was introduced, and has been in negotiation stages for months. On Monday, Senator Patrick Leahy (Senate Judiciary Chairman) and Chuck Grassley (Ranking Member) finally announced that an agreement has been reached. In short, what this will enable consumers to do is unlock their cellphones once their agreement period has been met. The full announcement can be read at Leahy’s blog. And there’ no law that says you must read every article either! I know it’s hard to believe but it’s no always about you. is there a law that you must reply to every comment you disagree about n be dink about it? This story has legs to stand on atleast…. You have pretty high hopes. Lol. Don’t count on either of those. The first one would require merging all networks (assuming that you mean all phones), and even decent governments haven’t banned contacts, let alone the US. It doesn’t have to be a pipe dream. Artificial carrier lock-in is already the only thing standing in the way of roaming at will. The big 4 carriers all have LTE on their to-do list and the switch to VoLTE is inevitable. There’s not enough spectrum to keep the old networks active, so old-school CDMA and GSM will die at some point to give more room for LTE. You don’t have to merge the carriers at all, just need to have laws that require interoperability and make it illegal for handset manufacturers and carriers sell phones that have competing carrier’s bands locked out. It would also be nice it there was some kind of provision to ensure that more phones are sold unlocked without service through third party vendors, then we might actually see prices come down. I didn’t say anything about merging the carriers. I was talking about merging the networks so that they all use the same bands. That’s the only way to make all phones work on all carriers. It would basically require government repossession of all spectrum. On top of that, you’re asking for the US government to completely throw the free market out of the window by introducing legislation to end phone subsidies and carrier contracts, and to on top of that make the FCC require compatibility with all US bands (and I’d assume international bands as well). The government does not consider this a serious issue worth spending tens of billions of dollars on, and the GOP will fight against anything that threatens the free market if it doesn’t benefit them. Face it; it’ll never happen. It’s all a pipe dream. Manufacturers would love to be able to make a phone work with any provider with no added expenses…. Postpaid carriers besides TMobile and soon to be Sprint Framy despise it because there would be no exclusivity, loss of phone sales, and would make subsidized phone plans look overly expensive…. And it’ll never happen if people like you continue to just roll over and not complain to your elected officials and the FCC and don’t point out to anyone and everyone, that it is possible. I re-read your post. When you say merge the networks you meant, “get them using the same technology”, correct? Well the carriers are already on their way to doing that in the form of deploying LTE. The only missing piece is having the FCC require that they don’t take steps to block phones sold by other carriers from operating on their network. A.K.A Interoperability. There are two types of carrier blocks. SIM or ESN based, where you can’t pop in another carriers SIM or have a phone registered to another carrier. Radio based, where the phone’s radio is built without competing networks bands, or in the case of Software defined radios, have artificial blocks to prevent connectivity. This article is primarily about SIM based unlocks related to phones sold subsidized or on installment plans. If you literally meant to have the FCC revoke cellular licenses and create a Utility to own and maintain a single national network then that would be a massive blow to the current so called free market. Carriers would fight that to the bitter end. They’d throw a bigger fit over that than ISPs did when the net neutraility discussion hinted at making ISPs utilities. Really The carriers are already using internationally standardized bands. The problem has been the network technology used on those bands in the US being completely incompatible. However with all US and EU carriers deploying LTE it’s not going to be a problem going forward. Throw in the growing use of software defined radios (SDR) and there literally is no reason to not have carrier interoperability and roaming universal roaming. A phone with an SDR could literally change which bands it operates on from a configuration setting tied to what country you’re in, on the fly. I don’t consider the US to have a fully free cellular market. Ever notice how the only way you can get a carrier unlocked and un-branded phone in the US is by buying an import? The carriers have a stranglehold on the phone market and continue to use their buying power, especially the big two, to get exclusivity agreements and dictate what handsets are available. Subsidies and carrier exclusives only serve to hide the actual cost of phones from consumers and end up keeping prices higher. In an actual free market carriers would actually have to compete on coverage, price and what services are included with their plans. Exclusivity also seriously limits consumer choice as they are forced to buy a handset from the carrier if they want full compatibility on the network which is especially true in the case of T-Mobile since you miss out on AWS band support with imports, and carrier unlocked ATT phones still have carrier frequency blocks. For Example I would pay cash, right now, for a Samsung Galaxy S5 with 32gb internal storage. It’s already available internationally, however because of how phones are sold in the US I can’t buy it with full network support on T-Mobile, let alone get mfg. warranty, unless T-Mobile decides to directly offer it. What I mean is, one network, and you pick a carrier to gain access to that network. That’s the only way for that dream of yours to come true. Also, there are unlocked phones you can buy without importing. Not a lot, but they exist. As for not complaining to the government enough, it’s going to take a lot more than a few strongly worded letters that they don’t read for them to spend the billions required for this level of regulation. It would take nationwide riots and protests from a super majority of the population. We can’t even get the country to unite over serious issues like health care, yet you think that this is what we should be fighting for!? His reply was sarcasm, toungue in cheek. Start a revolution demanding that carriers can’t choose what devices are made for their networksthey built and maintain and let’s demand that every device created is built compatible with every network available on Earth. Won’t happen till Verizon and Sprint ditch CDMA or at least switch on nationwide VoLTE. Verizon phones out of the box already work on every network except Sprint. I’m personally very curious to see if Sprint is finally going to comply with unlocking phones that have gsm/umts capability, since they never do according to their policy. In the past all GSM frequencies in Sprint devices that were capable were unlocked, only in the last 3 years did they lock the US portion of the frequencies but keep the international side unlocked. To comply, they would need to unlock both sides and allow all frequencies to be accessed hardware and software as well as stop embedded SIM cards in their devices that have GSM capability (iPhone). Additionally Sprint will have to work with Google and OEM for Android device software that accesses GSM and CDMA simultaneously or separately and not hidden or blocked out. The Nexus is one of few devices that allows independent or simultaneous access to GSM and CDMA. Most Sprint devices that hold GSM internally are software restricted to only allow minimal access to the network selections. I still think all phones should be World phones (factory unlocked) especially when people are traveling. We should have an option to use our phones on other carriers. This is much better then 7 nights stand crap. Then people need to pay the SRP and not pay installments. what does retail price and installments pay have to do with this? If the question is too hard the answer is easy absolutely nothing! Are you of one of those blame Obama guys by any chance? Subsidy/installments are the reason carriers are clinging to for locking phones. if people pay full SRP up front it’s a non-issue to swap carriers as there is no reason for the carrier to keep your fully paid off phone locked to their network. Right but if you buy a carrier specific device it doesn’t matter if the device is locked or not because majority of the time the radio bands aren’t compatible for the other carriers network…. The majority of US Gsm phones won’t work on cdma networks because the don’t have a cdma radio…. I understand about the old CDMA/GSM technology limits. For LTE, software defined radios are already able to make that a non-issue going forward. Carrier locking is a big part of why lte phones are still missing international bands. Here’s what I should have said in my previous post. In the US it’s all interconnected. It’s in a carriers own self interest to only sell phones capable of operating on their network and contractually prevent the manufacturer from selling a device capable of operating on it’s network to a competitor without an existing roaming agreement with that competitor or even unbranded and unlocked to 3rd party resellers. Carriers offer subsidy/installments and lock the phone to bring in customers and ensure you stay with the network and pay for the phone. Remove the Carriers stranglehold on the phone market and manufacturers are then free to offer unlocked unbranded world phones. What carrier sold phones besides Nexus 5 have fully functional LTE bands for all four carriers? I know the verizon g2 is unlocked for att tmo lte…. M8 2g is good but lte wasn’t nt compatible last time I checked…. Carriers buy phones from manufacturers to sell inside the carriers store, carriers request what bands to included and what bands to have unlocked….. Carriers decide features because they bought said amount of phones from manufacturers…. Unbranded and International phones are made to be interchangeable and branded phones are in the the majority for cell users in the US…. I totally agree that it would be nice if every phone had evey compatible band included and unlocked but that is not the case presently…. iPhone 5+ CDMA models have the proper bands for all four national US carriers. Discounting Verizon (which is easy, you either have Verizon or don’t, and most people don’t change that) and Sprint (also easy, you either don’t have Sprint or don’t have money) most phones today work perfectly with ATT and T-Mobile. I’ve got an ATT device in my pocket running T-Mobile LTE (Lumia 1520) and the only thing I miss is non-refarmed HSPA, which is fairly rare these days anyway. im confused you said cdma iphone have the bands but then you state that both of them don’t?? LTE bands…. i know 2g, 3g may work but fully functional lte is what i asked…. The sprint iPhone does…. The Verizon one is missing spring bands. Verizon also won’t activate any of the others…. If you do not pay for your phone (via installments) your phone will not be clear. It can be blacklisted. Before you start frothing at the mouth I suggest you read carefully and don’t assume anything. Don’t be a jerk. Which topic are you replying to? Whether you buy in installments or pay in full, it’s not going to change if you can use your device on other networks…. You voted for me huh? Dang Obama lover’s messed everything up…. Randomly bringing up Obama? Damn, you must be crushing hard on him. Always in your thoughts. Problem is these suckers are becoming less and less band compatible. GSM: quad bands were enough to go practically anywhere. 850, 900, 1800, 1900. Remember how long dial and tri were the norm? UMTS: penta bands were enough. 850, 900, 1700, 1900, 2100. Especially T-Mobile users should remember all the tri band phones that wouldn’t work on T-Mobile/at&t, or even more don’t work on the overseas bands. LTE: septa bands. I’m not even sure I can name them all, but here goes. 700b, 700c, 800, 1700, 1800, 1900, 2500… And this is just the USA! Compare https://www.apple.com/iphone/LTE/ especially look at all the different variants of even the 5s (which is reasonably impressive) to the global list of deployments here. http://en.m.wikipedia.org/wiki/E-UTRA#Frequency_bands_and_channel_bandwidths and look how many carriers are not covered. Now look at the supported bands for non-flagship phones. We need to get the number of bands down and the carriers in an area to use the same ones, or we’ll soon have unlocked phones but nowhere else to use them. There was an article about that on Cnet a few months ago, Qualcomm said there were actively working on their modem development to accomodate for more bands in fewer SKUs – if you look at the iPad LTE version, you will see that it accomodates for most LTE bands worldwide, because it uses a standalone modem versus one integrated into the processor. The reason we have so many bands for LTE (GSM only had 4, and UMTS only had 5) is because LTE is running on left-over spectrum and every country had different scraps to award to Telcos when LTE came around. 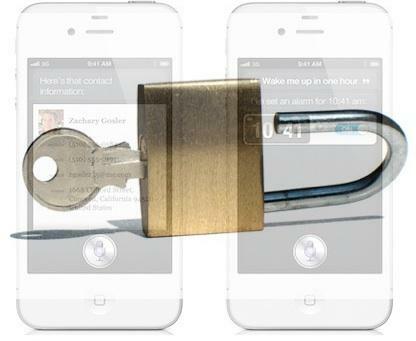 Unlocking doesn’t matter if the phone is missing radio bands to communicate…. Usefulness is not the debate, it’s whether you should be able to or not. No, you might not have 100% use of the phone moving from provider 1 to provider 2, but if you want to move to that provider and you finished your terms with your carrier, you should be able to.